Our first-time sweater class is coming to a close, and it has been great! Thanks to Tin Can Knits for such a fantastic pattern – the Flax Sweater. Last year they released their free Simple Collection, with fantastic patterns and excellent tutorials for the beginner knitter! Hilary taught this class and used this excellent pattern. 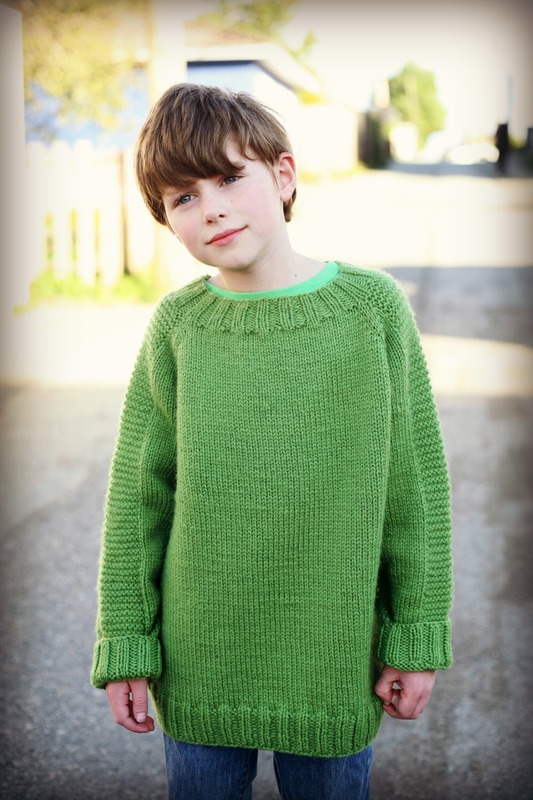 She knit this version for her son in the Galway chunky! Check out all the amazing books we have by Tin Can Knits at the shop!